Are your lashes thin and not what they used to be? Latisse is the only FDA-approved prescription formula that can grow your lashes longer, fuller, and darker. Latisse is easy to use – just apply on the lash line before bed. Results happen gradually so it is important to use the product consistently. Start Latisse now (or continue your treatment), with this great promotion! Buy one 5mL Latisse for $199 and receive a mail-in certificate to receive a FREE 3mL Latisse from Allergan (a $140 value). Hurry! We only have a limited number of certificates and this offer is only good while supplies last! Evolutions Medical Spa in Santa Barbara carries the FDA-approved LATISSE eyelash treatment. Create longer, fuller, and darker lashes that are all your own in 2010! Receive a $20 Rebate on each box of Latisse – Only 40 are available at Evolutions. While supplies last, only 40 rebates available. Max 2 boxes per client. Drop by Evolutions today located in downtown Santa Barbara. See Evolutions’ hours and location here. We’ve blogged before about the most effective, safe eyelash growth treatment called LATISSE! At Evolutions Medical Spa, we carry LATISSE not only because it works to create thick, beautiful lashes, but also because it is the only eyelash treatment that is FDA-approved, backed by clinical trials and developed by a leader in the eye care product industry – Allergan. At Evolutions we couldn’t agree more with this review! Buy Latisse in Santa Barbara at Evolutions Medical Spa! What if you could have beautiful, long, thick eyelashes without extensions or heavy mascara? You can have that – safe and effectively with LATISSE. Now available at Evolutions Medical Spa! LATISSE – an FDA-approved eyelash treatment – grows your lashes longer, fuller and darker through an active ingredient called bimatoprost. Research suggests that this ingredient may increase the hairs growth phase. LATISSE is the ONLY eyelash treatment that is FDA-approved – backed by clinical research and developed by Allergan, a leader in prescription eye care products. Patients using the product saw results in as few as eight weeks and full results in 12 to 16 weeks. 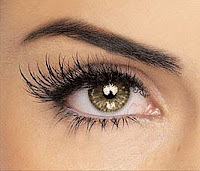 Similar to other eyelash treatments, LATISSE is applied once per day, usually at night, to the base of the upper lashes that are clean and make-up free. Stop by Evolutions to pick up LATISSE for yourself! Available now for $135 for a 1 month supply (1 box) or $220 for 2 boxes. We highly recommend purchasing two boxes for an 8 week supply – a full 8 weeks is when people really start seeing great results!